Greetings folks! I hope everyone has had a great Christmas! We spent a week with my mom and dad in sunny central Florida and had a great time. We only visited one War-related site, Deleon Springs, site of a Federal raid on a Confederate production site. I also took photos of the Confederate monument in downtown Orlando. Once we returned, my wife’s folks came over and spent a few days. I’ve done no writing in about two weeks, but a lot of reading. I am gearing up to write about the battle of Chickamauga. For the past couple of days, I’ve been working on the whole McLemore’s Cove debacle. Once again, for the 58th NCT, it is a whole lot of set up just to say they were there and did not do anything - much like Hindman, Buckner, and Hill. Tomorrow, I’m off to Knoxville to acquire a couple of needed pieces of information that inter-library loan has failed to bring. I’ve been out of town the past few days, and hence, no blogging. 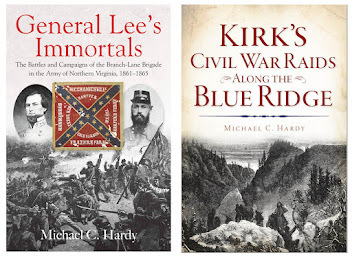 But I have been reading, mostly about Chickamauga. Right before we left town, I attended a book discussion in Watauga County on the new book, Neighbor to Neighbor: A Memoir of Family, Community, and Civil War in Appalachian North Carolina. I did finish reading the book, and here are some thoughts. Information regarding the last year of war, and especially the reconstruction time period in western North Carolina, is sparse. Most of the information comes in the way of oral traditions passed down through the generations. Most of these oral traditions are fragments of much larger events. Therefore, we are blessed to have some new information come to light written by someone who had first-hand knowledge of those events. William Albert Wilson was born in the Sutherland Community in Ashe County in 1861. He was a graduate of the University of North Carolina, Chapel Hill, and later served as a missionary in Japan for more than 42 years. 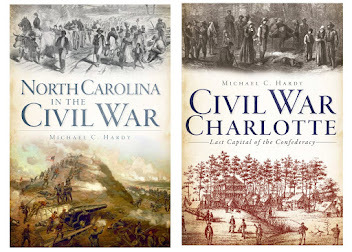 Once he retired, Wilson returned to North Carolina and penned an account of things that he had witnessed during the turbulent years of the Civil War and Reconstruction. But the book is more than just what he remembers, it is a record of his community during those times. Wilson starts out his tale with the death of his father, Isaac Wilson. Home on furlough from the Confederate army, Isaac Wilson was shot as he plowed his field one morning. Taken home, he lived just a short time before dying of his wounds. Isaac Wilson’s death is an example of the inner-civil war that gripped every part of life in Southern Appalachia. His death was to revenge the death of a man at the hands of the local Confederate conscription officer. That conscription officer was also named Isaac Wilson, and a case of mistaken identification might seem plausible. However, the murdered Isaac Wilson was related by marriage to his assailants. The murder of Isaac Wilson left William Wilson and his siblings fatherless, and in a hostile location, near the Tennessee border. Wilson then crafts a tale of the mayhem, the “bushwhacking,” murder, robbery, and abuse that members of his family and community endured. Wilson’s memoir goes beyond the depredations committed during the time period, also providing a look at how a boy grew up in Appalachia in the 1870s, attending school, church, and working on the farm. The memoir is truly remarkable for that information alone. Neighbor to Neighbor was edited by Sandra L. Ballard and Leila E. Weinstein. Ballard is a professor of English at Appalachian State University and editor of the Appalachian Journal. Weinstein is assistant editor at Appalachian. They have done a good job lightly editing the text and culling the local community for photographs. There are also three essays introducing the text. 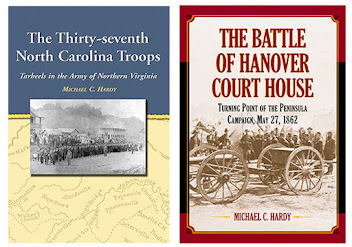 The first, by Patricia Beaver, Director for the Center for Appalachian Studies and professor of anthropology at Appalachian State University, is entitled “”The Civil War on the North Fork of the New River: Sustaining Community.” This essay provides an overview of the North Fork Community and Ashe County during the wartime years. 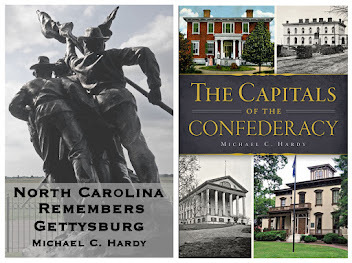 The next essay is by Martin Crawford, and is an excerpt from his book Ashe County’s Civil War: Community and Society in the Appalachian South. Martin is a professor of American Studies at Keele University in England. The final essay is by John C. Inscoe, professor at the University of Georgia, and the most respected historian of Appalachia and the Civil War. His essay, entitled “Guerrilla War and Remembrance,” is a look at how the people of Appalachia viewed the events in the 1860s in the years following the events. One event that no one looked at was Isaac Wilson’s military service. Wilson volunteered with members of his family and community on September 18, 1861. On that date, he was elected a lieutenant in the “Watauga Minute Men.” Most of the men in this company were from the Cove Creek area of Watauga County, where Wilson also had family and enough connections to allow the men to elect him to this post. 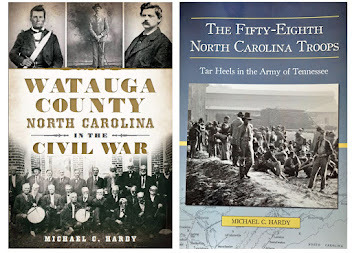 On November 20, 1861, the “Watauga Minute Men” became Company E, 37th North Carolina Troops. For some unexplored reason, Wilson resigned from the 37th North Carolina Troops on December 13, 1861, and returned home. The memoir clearly states that “Lieut. Isaac Wilson, was home on furlough” (73) when he was shot in June 1864. Of what regiment Wilson is a member is not discussed. After the war, Wilson’s widow applied for a pension, stating that he served in the 37th North Carolina Troops, and Wilson’s gravemarker states that he served in the 37th North Carolina Troops. No other regiment is mentioned, and thus a mystery has presented itself. Overall, Neighbor to Neighbor (ISBN 0-9787305-0-X) is highly recommended for those interested in the war in Appalachia and western North Carolina. One downside is that the book is currently available only through the bookstore at Appalachian State University. Maybe demand for the book will lead to a wider distribution. You can contact the bookstore at: (828) 262-3070, or through their web page. I had a chance last night to attend a book discussion on a recent release: Neighbor to Neighbor: A Memoir of Family, Community, and Civil War in Appalachian, edited by Sandra L. Ballard and Leila E. Weinstein. The narrative was written by the son of Lt. Isaac Wilson of Company E, 37th North Carolina Troops. I’ll have a review up soon. It was also a pleasure to sit with Dr. Allan Speer, who edited the letters of one of his ancestors a number of years ago, Col. Francis Asbury Speer of the 28th NCT. 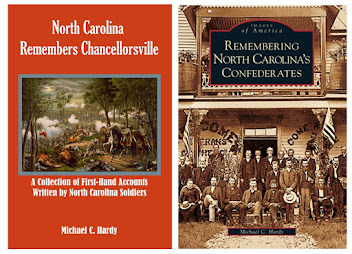 I finished the draft of chapter 6 of the book on the 58th North Carolina this past weekend. The chapter is a little over 10,000 words, possibly the longest chapter that I have ever written. Time to move on to Chickamauga. I’ve been pondering this article by Katherine A. Giuffre for the better part of a week now. The article is entitled "First in Flight: Desertion as Politics in the North Carolina Confederate Army" and was published in 1997 in Social Science History. Through looking at deserters in the 2nd, 4th, 6th, 17th (2nd organization), 20th, 22nd, 28th, and 30th regiments, Giuffre came to the conclusion that "desertion was a politically motivated act on the part of some members of the relatively deprived class that was at odds with the eastern elites and that shouldered the burden of fighting the Civil War in North Carolina." Let’s deconstruct this a bit and see what we come up with. Giuffre writes "desertion was a politically motivated act on the part of some members of the relatively deprived class..." So, the poor were more likely to desert than the middle class or rich? In another article, Peter Bearman contends that "Stayers and deserters look very similar with respect to class, occupation, age, family composition, and enlistment date. Interest as structured by the occupancy of differential position in civil society cannot account for desertion." So we have two differing views. Did your position in life influence you to desert the army? For some, even many, the answer would be a resounding yes. The wives of many wrote home saying that they were starving and needed the men at home. But I sometimes think that opinion is overplayed. Most of these families lived within large kinship groups that looked out after each other. How was it politically motivated? Giuffre writes: "the relatively deprived class that was at odds with the eastern elites..." That is possible, but what about Yancey County? The people of the Toe River Valley fought with eastern politicians for years before the creation of a new county in 1833. Yet when the secession crisis came, Yancey voted with the eastern counties to separate from the Union. Having spent the all of the past week studying the deserter problem with regards to the 58th and 60th Regiments, I have come to this conclusion. Some deserted because of hardships, family responsibilities, and a few were even cowards. Most simply did not want to be in the army. Some were anti-Confederate. Most were anti anything that was imposed upon them. 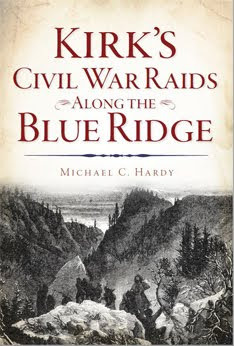 Had the Federal army come in and conscripted the mountaineers of Ashe or Yancey counties, I am quite sure that they would have likewise deserted at the first convenient opportunity. I wonder what Giuffre’s study would have found if she had included the 58th, 60th, 62nd, or 64th Regiments? Over the past few days, I've been working on the desertion problem and the 58th NCT. To say that desertion was a problem for the 58th NCT is an colossal understatement. 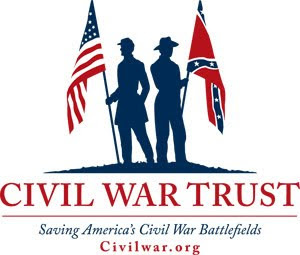 I want to go out on a limb and say no regiment in the Confederate army had more men to desert than the 58th NCT. That might be a bit of a stretch and more research needs to bedone. One of the problems is that records for the 58th NCT are so poor. I'll give a few examples. Jonathan Morgan of Company F (McDowell County) was reported sick in the hospital in September-October 1863. No more records. Did he die in the hospital? Did he desert from the hospital? George W. Moore of Company E enlisted in Caldwell County on July 5, 1862. He never again appears in the muster reports of the 58th NCT. He did survive the war, but what happened to him? Did he desert? Was he discharged? How about Allen Pierce of Company I. He enlisted on July 24, 1862, and then disappears. Then, there is a whole host of men who disappear between August 31,1864, the last surviving muster roll for the 58th NCT, and when the regiment surrendered at Greensboro in May 1865. What happened to these men? Were they killed? Were they left at some hospital on their trek from Mississippi to Bentonville? Did they die of disease and were buried beside some road or in a family cemetery? Who knows! I sure don't! And, I must go and write about it in abook, and explore each option.